Festival founder Kevin Sampson shares his inspiration to launch the festival and why the timing is so poignant. 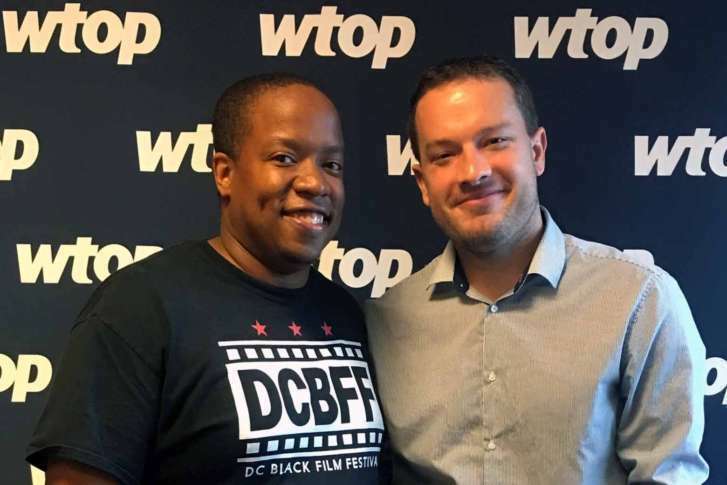 That’s the goal of Kevin Sampson, founder of the first-ever D.C. Black Film Festival, which launches Thursday to Saturday on Barracks Row near the Eastern Market Metro station. Screenings will take place at the Miracle Theatre on 8th Street Southeast, which splits time as a church and a movie theater for second-run flicks. Sampson says it’s “a steal of a deal,” not to mention a fitting location for a festival that was itself a mini “miracle” getting off the ground. Like most history-making ideas, the seed was planted by a simple everyday occurrence. In Sampson’s case, he went to see the Kevin Hart comedy “Think Like a Man 2” (2014) and came home disappointed at the limited representation of African-Americans he saw on screen. After feedback from various black filmmakers, Sampson planned to shoot a documentary titled “The Hollywood Blackout,” but was unable to raise his $30,000 goal on Kickstarter. Next, Sampson put out a wide “call for entries” on the Film Freeway website, receiving 125 submissions from four continents, mostly North America, but also a few from Africa, Europe and South America. These were narrowed down to 52 films that will screen this weekend. It all kicks off Thursday with the opening block theme of “The Past.” These movies mostly focus on the past, laying the historical groundwork for the other films you’re about to see. This includes the narrative film “Zoo (Volkerschau)” by D.C. filmmaker Monda Raquel Webb. “Human zoos that took place in 1958 Brussels that had Africans on display,” Sampson said. You can also check out Nadia Sasso’s documentary “Am I: Too African to be American or Too American to be African?” starring a familiar face with Issa Rae of HBO’s “Insecure” (2016). The filmmaker will stick around for the opening night panel “What is Black?” hosted by C-SPAN’s Jonelle Henry along with Tim Gordon, president of the Washington Area Film Critics Association, and Lucy Gebre-Egziabher, professor at Northern Virginia Community College. The festival continues Friday with a fascinating film block called “The Future,” showcasing the future of the industry by highlighting young filmmakers, students films and rising artists. This includes Huriyyah Muhammad’s supernatural web series “Keloid” about a mother and her telekinetic teen; Steven Alexander Russell’s drama “Tastes Like Medicine” about a man’s mental breakdown at his ex-lover’s baby shower; and Dionna McMillian’s “Love, New York” about a New York actress who grabs the wrong cup of coffee before her audition. Friday’s second block of films is called “The Struggle and The Triumph,” including the inspirational social documentary “Arc of Justice” directed by Mark Lipman and Helen S. Cohen. While you’re there, check out the comedy “Privilege Unhinged” directed by Lande Yoosuf. The night closes with a party across the street at The Fridge, featuring food, drinks and music. It features Anthony Anderson’s web series “Anacostia,” which is an “Emmy award-winning [show] from this area;” Bo Tran’s documentary “Close to U” about “the history and future of the U Street corridor;” Matthew Gentile’s “Lawman” styled as an “old-school, western throwback;” and Maurice Simmons’ “Bill 2/29” exploring the potential of future segregation. Meanwhile, don’t miss Stefon Bristol’s sci-fi flick “See You Yesterday,” financed by Spike Lee. Stick around for the closing night panel hosted by Sampson himself, featuring Baltimore lawyer J. Wyndal Gordon and Ava DuVernay’s “13th” cinematographer Hans Charles. If film is the ultimate empathy machine, the gears of compassion are officially in motion.